The Wyoming Honor Farm and the Wyoming Department of Corrections has new leadership. Dawn Sides had been Wyoming Honor Farm Warden since 2004, until she was recently promoted to Deputy Division Administrator for the Division of Prisons. She will oversee inmate health care, programming and treatment, adult and vocational education, and prison industries and work programs. Her duties also include managing inmate classification and case management, transition and reentry efforts, religious services, and other contractor provided offender services. "Mrs. Sides is very familiar with institutional operations and the delivery of prison support services at the local line level," said Wyoming Department of Corrections Director Bob Lampert. "She clearly understands the impacts that Central Office decisions can have on institutional operations if they are not the result of careful collaboration and team work." 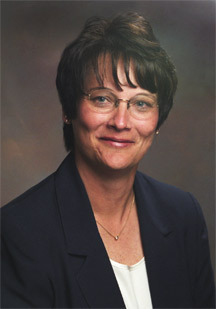 Sides began her correctional career in 1987, and has been a WYDOC veteran for more than 20 years. During that time, she was an associate warden at the Wyoming Women's Center. Wyoming Honor Conservation Camp and Newcastle Boot Camp warden, Ken Keller, has become the new Wyoming Honor Farm warden. "Warden Keller brings a wealth of experience from the local, institutional and Central Office levels into his new position," Lampert said. "He fully supports the vision of the department and our focus on increased employee competence and skill sets improvement through expanded training." In 1979, Keller began his criminal justice career as an under sheriff in Niobrara Count. He joined the Wyoming Women's Center as a correctional sergeant in 1984, and then became that facility’s Deputy Warden. 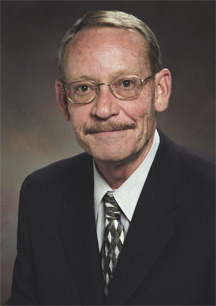 In December 2001, Keller was named Chief of Operations for the Division of Prisons, and in 2004, he was appointed the Newcastle facility warden.